Nordic Capital Fund VIII (“Nordic Capital”)1 has entered into a call option agreement with the investment company R12 Kapital (“R12”) which entitles Nordic Capital to acquire an additional 2.94% of the shares in Nordax Group AB (publ) (“Nordax”), subject to receiving approval by the Swedish Financial Supervisory Authority (“SFSA”). Nordic Capital is currently the largest shareholder in Nordax with a shareholding of 9.96%. The call option agreement entered into with R12, together with the already existing call option arrangement in place with Carnegie, entitle Nordic Capital to acquire a further total of 12.44% of the shares in Nordax. Nordax is a leading niche bank in Northern Europe with approximately 120,000 loan customers and 28,000 savings customers. Nordax is focused on large, long duration personal loans and deposit accounts. Nordic Capital is one of the longest established and most active private equity investors in the Nordic region, with a strong track record from investments in the financial services sector, including Resurs Bank, Lindorff and Nordnet. Nordic Capital holds majority or minority positions in private or public companies, and acts as an active owner, contributing to the long term development of such companies through representation on the Board of Directors. Nordic Capital has entered into a call option arrangement with R12 through which Nordic Capital has the right to acquire all Nordax shares currently held by R12. It is the intention of Nordic Capital to exercise this call option upon receipt of necessary approvals from the SFSA. Until SFSA approval has been obtained, and prior to any exercise of the call option, there will be no voting cooperation, veto rights or other agreements or understandings between Nordic Capital and R12 as regards exercise of influence over Nordax. A filing for SFSA approval that will give Nordic Capital the right to exercise such option was made when Nordic Capital acquired its initial shareholding in Nordax in October 2017. Nordic Capital refers to Nordic Capital Fund VIII and any, or all, of its predecessor funds depending on the context. Nordic Capital Fund VIII (“the Fund”) has acquired 9.96% of the listed shares in Nordax Group AB (publ) (“Nordax”). In addition the Fund has entered into a call option agreement which entitles Nordic Capital Fund VIII to acquire an additional 5.04% of the shares, subject to approval by the Swedish Financial Supervisory Authority. Established in 2003 and operating from a centralised platform in Stockholm, Nordax is a leading niche bank in Northern Europe with approximately 120,000 loan customers and 28,000 savings customers. Nordax is focused on large, long duration personal loans and deposit accounts. Nordax was listed on Nasdaq Stockholm on 17 June 2015 and currently has a total market capitalisation of approximately SEK 5bn (based on the last price paid for the Nordax share on 12 October 2017). Nordic Capital is one of the longest established and most active private equity investors in the Nordic region, investing in five core sectors comprising Healthcare, Technology & Payments, Financial Services, Industrial Goods & Services and Consumer & Retail. Nordic Capital has a strong track record from investments in the financial services sector, including Resurs Bank, Lindorff and Nordnet. Nordic Capital holds majority or minority positions in private or public companies, and typically acts as an active owner, contributing to the long term development of the company through representation on the Board of Directors. 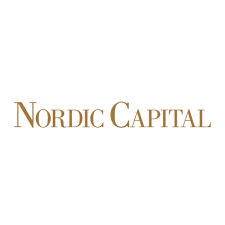 “Nordic Capital has extensive experience and an excellent track record in the financial services sector, and sees Nordax as an interesting company with strong potential and a great management team. There is rapid underlying growth in this market niche and opportunity for companies like Nordax to take new steps in digitalization and product development. Nordic Capital has strong expertise in these areas and looks forward to becoming a committed shareholder in Nordax” says Kristoffer Melinder, Managing Partner, NC Advisory AB, advisor to the Nordic Capital Funds. The transaction was executed by way of a reversed book building process where a total of 15% of the capital was acquired by Nordic Capital (9.96%) and Carnegie Investment Bank AB (“Carnegie”) (5.04%). Nordic Capital has entered into a call option arrangement with Carnegie to which Nordic Capital has the right to acquire all of the Nordax shares currently held by Carnegie. It is the intention of Nordic Capital to exercise this call option upon receipt of necessary approvals from the SFSA. Until SFSA approval has been obtained, and prior to any exercise of the call option, there will be no voting cooperation, veto rights or other agreements or understandings between Nordic Capital and Carnegie as regards exercise of influence over Nordax. A filing for SFSA approval that will give Nordic Capital the right to exercise the option will be made today. EFG International today announces that it has completed the legal and operational integration of BSI in Luxembourg by way of a merger, including the BSI branch in Italy. In line with the previously announced gradual process to integrate BSI into EFG, the acquired business from BSI’s entity in Luxembourg, including the BSI branch in Italy, has been migrated to EFG Bank in Luxembourg. BSI (Europe) S.A, the official name of BSI in Luxembourg, is now legally and operationally integrated into EFG Bank (Luxembourg) S.A. The combined business has its registered office in 56, Grand-Rue, L-1660 Luxembourg, and will now operate in the market solely under the EFG name. By way of this merger, EFG further strengthens its presence in Luxembourg, remaining focused on providing superior service with a long-term perspective in wealth and asset management. With this step, the EFG brand will also be introduced in Italy for the first time. For the combined business, Italy is one of the strategic markets, and EFG is present in Milan, Como and Genoa. We are excited to announce that we are leading a €7.5 million equity round in Meniga, a pioneer in digital banking technology globally, reaching more than 40 million users across close to 20 countries. The round enables further expansion into data-driven personal finance, transaction data analytics and card-linked offers for leading banks, in the trillion-dollar financial service sector. The €7.5M equity round is led by Industrifonden with participation from current investors including Velocity Capital and Frumtak Ventures. The investment enables continued development of Meniga’s cutting-edge digital banking platform and strengthens the sales team. – Meniga has a proven track-record and is in a unique position for further growth as an innovative digital partner to banks and advertisers, transforming the way they use transaction data. We are particularly excited about the opportunities in data-driven digital banking and proud to support the exceptional Meniga team, says Sofia Ericsson Holm, investor at Industrifonden, responsible for the Meniga investment. Meniga’s digital banking platform helps banks use personal finance data to enrich their online and mobile customer experiences. Founded in 2009, Meniga has pioneered the market for white-label digital banking solutions to become the preferred digital partner to world-leading banks, including Santander, Commerzbank and ING Direct. Meniga’s team is headquartered in London, with offices in Reykjavik as well as Stockholm, where its development team is located. – We have never seen higher demand for our solutions and innovation capabilities. The funding allows us to accelerate growth and partner with more banks to help them transform the way customers engage with them via digital channels. Industrifonden is a great fit for Meniga and their team brings decades of experience to help us on our journey, says Georg Ludviksson, CEO Meniga. – Meniga is already working with many of the world’s leading banks and has built a strong reputation as an innovation leader in digital banking at a time when banks are forced to re-think their customer strategy and business models, continues Sofia, who will join Meniga’s board of directors effective immediately.